"Hurricane Sandy’s economic toll is poised to exceed $20 billion after the biggest Atlantic storm slammed into the Eastern U.S., damaging homes and offices and flooding subways in America’s most populated city. The total would include insured losses of about $7 billion to $8 billion," stated Charles Watson, research and development director at Kinetic Analysis Corp., a disaster research company from Maryland. "Much of the remaining tab will be picked up by cities and states to repair infrastructure, such as New York City’s subways and tunnels," he said. "I think it is disproportionate going into the public sector side." 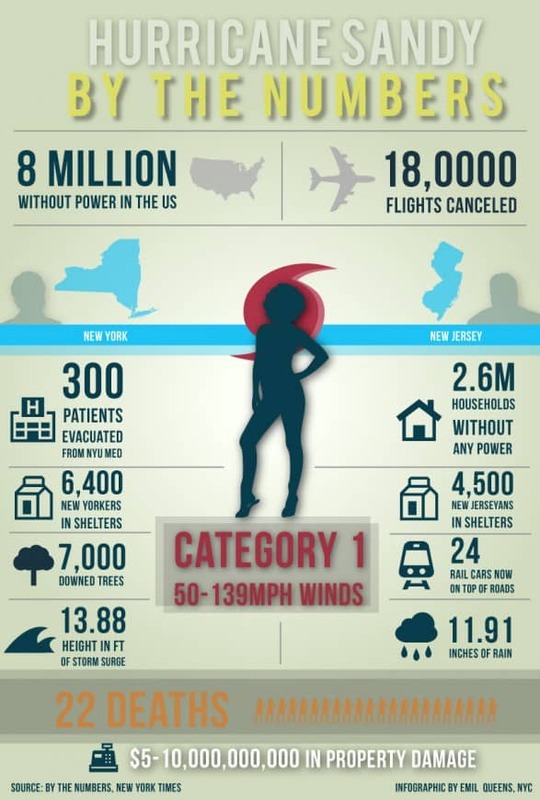 The damage from Hurricane Sandy (as illustrated by the infographic below) is devastating not only for residential areas but for businesses as well along the East Coast. by Estrian. Check out our data visualization blog. Check with your insurance company about policy coverage and specific filing requirements. Save all receipts, including those for food, temporary lodging, or other expenses that may be covered under your policy. Although you may be anxious to get things back to normal, avoid letting your emotions get the better of you. Don't be pressured into making an immediate decision with a long-term impact. Be pro-active in selecting a business and not re-active to sales solicitations. Make temporary repairs if necessary. For major repairs, take time to shop around and get three to four estimates based on the same specifications and materials. Check out references that are at least one year-old, verify the business is licensed/registered to do work in your state. Be wary of door-to-door workers who claim to have leftover materials from a job "down the street" and who do not have a place of business. affected by this natural disaster. 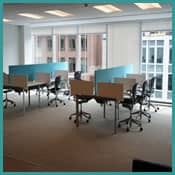 Our partner organization OpenDesks is helping displaced workers and organizations find alternative workspaces available immediately in all areas affected by Hurricane Sandy. Please check this link if you (or someone you know) need assistance.